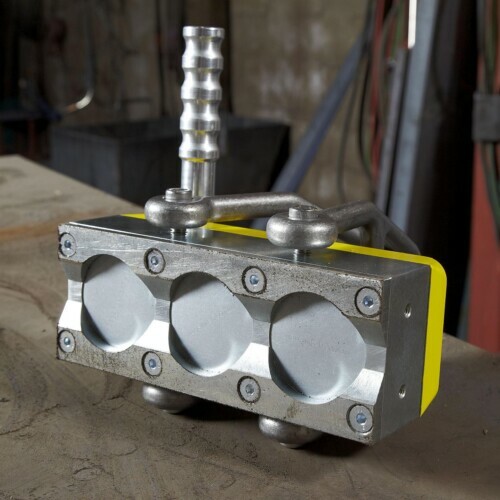 MagJigs are the Ultimate Workholding Clamp. Nothing else like it – ever! Incredible hold force in a simple 180° turn! 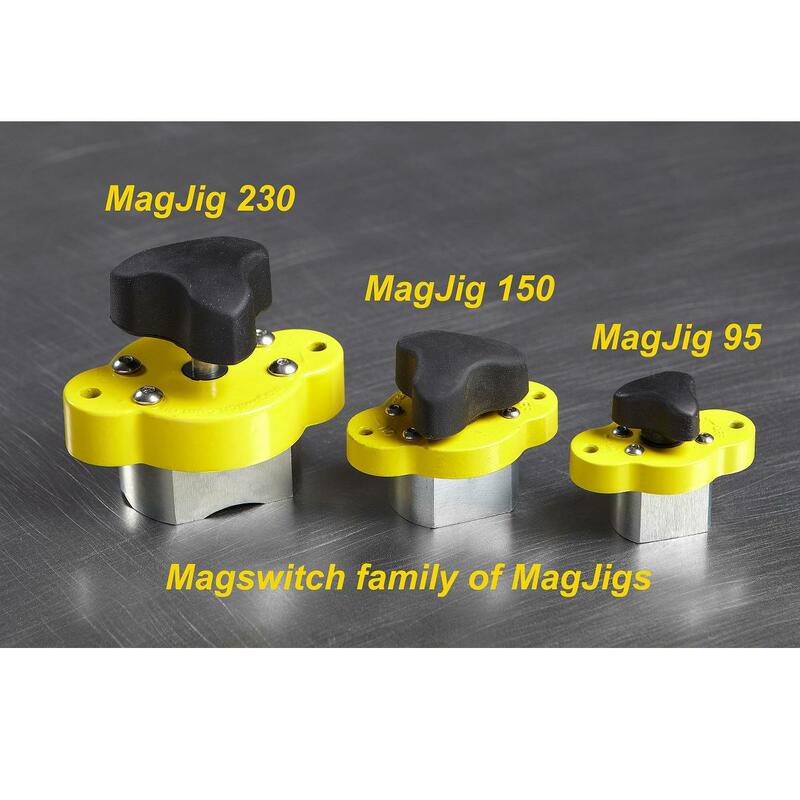 Unmatched speed, strength and precision in clamping, Magswitch MagJig Magnetic Clamps have revolutionized table top workholding in woodworking and industrial fixtures. 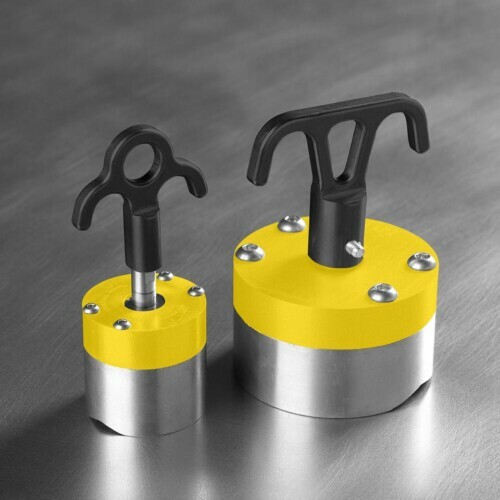 Features fast, strong set up anywhere on a steel or cast iron table or fence. Not limited by the miter slot or table edge. 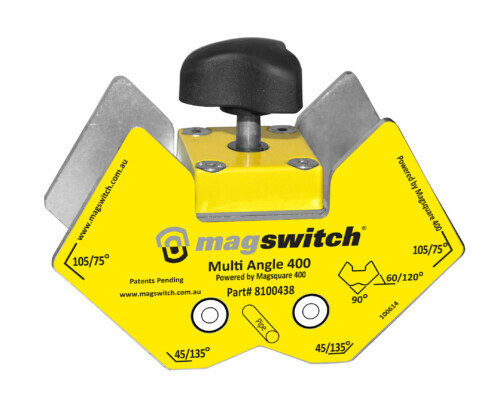 Featuring the patented Magswitch® technology for complete on/off control, super strong , precise positioning. The 30 & 40mm Forstner Bit allows users to make their own jigs and fixtures to accommodate the MagJig 95 &150 (sold separately). Just drill a hole into 3/4″ thick material using a Forstner bit, and drop in the MagJig for a strong and versatile holding fixture or jig.